I’m bored with all the rooms in this house. We’ve been here nearly 4 years and it’s all still magnolia. Except for the shower room. That is now a dark grey and I love it! It’s not a usual colour choice for me, I’m usually more reserved but, I went for it and it paid off! I still hate the old pink bathroom suite though and can’t wait until that’s gone! 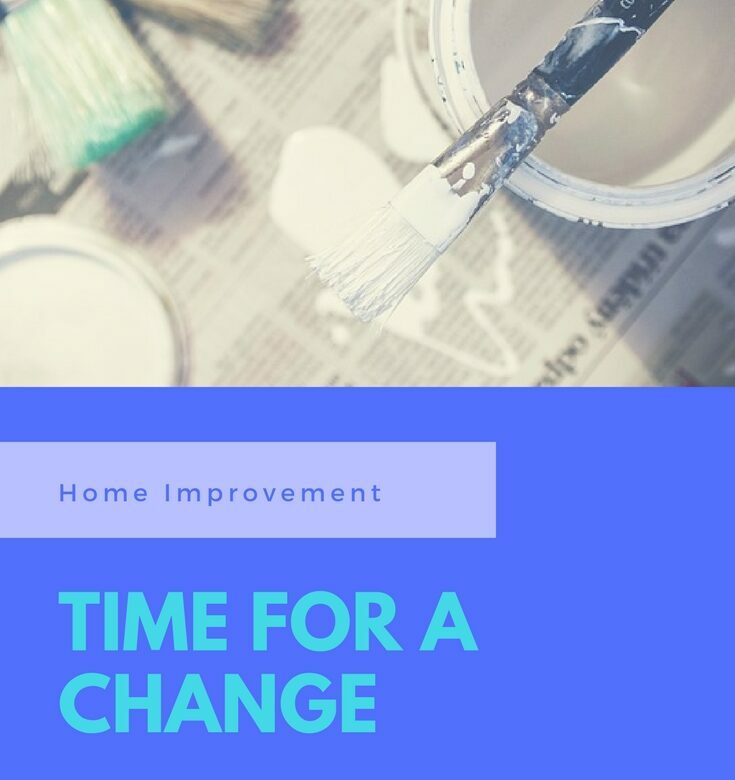 I was inspired to start updating the house after reading an e-book that gives you hints and tips for redecorating and renovating by making small changes. One of the rooms that bug me the most is the girls’ room. They’ve have been complaining a lot just lately about not having enough storage space in there. They have bookcases stuffed full of books, ornaments, and craft kits. There are drawers and a wardrobe for clothes storage as well as a desk for Kaycee to do her homework on and a bed each. It sounds like ample storage but they have too much stuff! The amount of furniture in the room means it isn’t easy to change things around. Last week I decided we had to do something about the storage problem. After talking to Ant, we came up with a plan for him to build loft beds with clothes storage and desks underneath. Something like this one but Ant’s going to design them to our needs. I love this idea and have pinned lots of images on Pinterest but with Christmas coming, I didn’t want to start a big expensive project. With this in mind, I figured we could make lots of small changes now that would have a big impact on the way the girls use the room. It’s a temporary solution until next year but it’s already making a massive difference. One of the easiest ways to refresh a bedroom and make it feel like new is to change the colour scheme. The curtains and bedding the girls have at the moment are very pink. They’re growing up now so I wanted to pick a more grown up colour scheme. New Wardrobes, Bed, and Bedding. The first thing I did was hit eBay to find some cheap, black canvas covered wardrobes. They have a small space for hanging things and lots of shelves. Kaycee’s wooden wardrobe was huge and took up quite a bit of space but the amount of actual storage was rubbish. We’d taken out Ella’s wardrobe last year so we could fit Kaycee’s desk in when she started secondary school. Ella was then left with two sets of pink plastic drawers for all of her clothes. When the wardrobes arrived, we put the first one together and realised that I hadn’t measured properly and they weren’t going to fit in with the two beds we have. The only solution was to buy new beds so I ordered a cheap set of bunk beds from eBay and waited for them to come. I didn’t have to wait long! They were dispatched on Saturday and came yesterday (Monday). They’re purple and I love them! I’ve been looking at bedding from Julian Charles. There’s a lovely lilac set which will go perfectly with the beds. They have matching curtains as well which is great. I like the curtains to match the duvets! Another cheap and easy way to renovate a room is to paint the walls so our next project is to take them to choose paint. We’ll probably get some wall stickers and new pictures as well to complete the look.